“Don’t be like the rest of them, darling” – Coco Chanel. 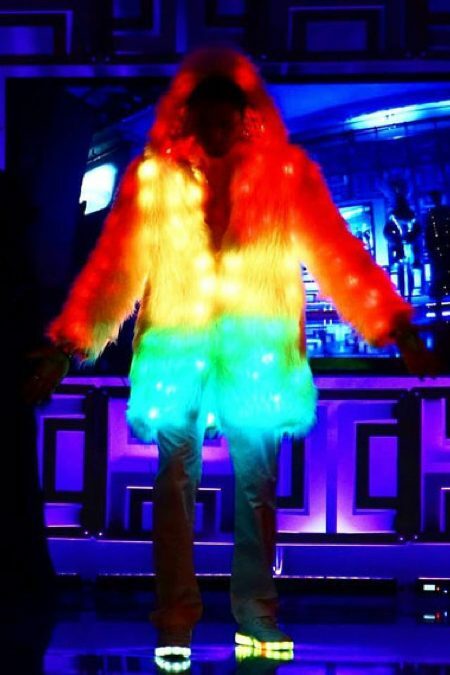 This coat will be handmade for you in San Francisco. 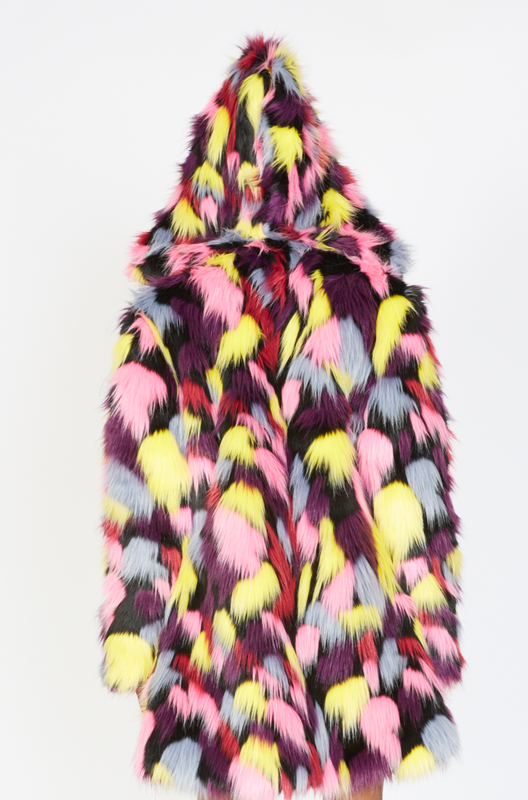 Fashionista Colorful faux fur coat has big wizard-like hood and a small collar in the front when all hooks are closed. This coat is fitted and has Royal flared cut.